90 percent of pain is self induced. It’s important to understand that most of what we experience in life is perspective and interpretation. The world around us often appears as we expect it to because we filter out what we don’t expect and focus in on what we do. 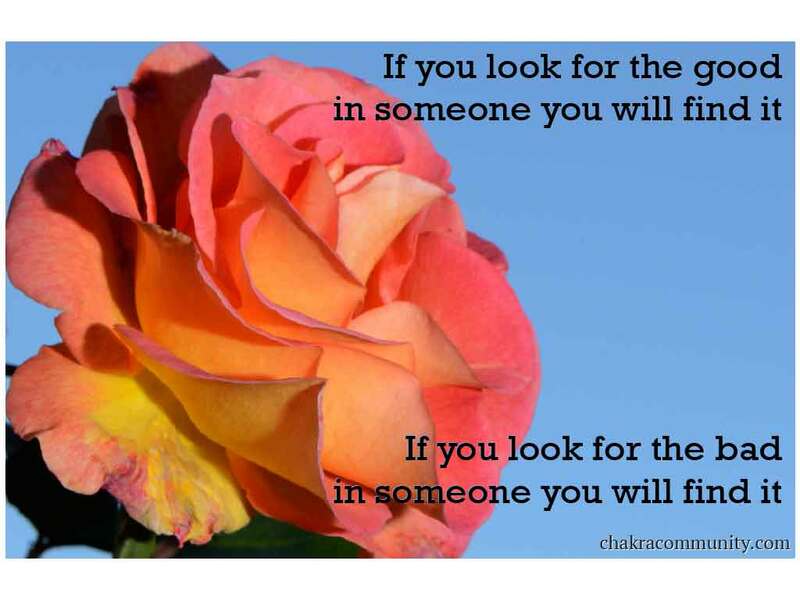 If you look for the good in someone you will find it. If you look for the bad in someone you will find it. Our perceptions of reality are often skewed one way or the other. We very rarely see true reality. Our egos get involved and muddle the interpretation. Often we view the world as if it were a mirror held in front of us. We simply see what we project out. The thoughts we were having surrounding a moment, inform that moment. Our past interactions, with the people involved, further cloud the experience. As we get older, if we don’t practice awareness, more and more layers build up from past interactions. We are no longer experiencing the present moment, but rather receiving the echoes of past experiences as they feed back into the current experience. Instead of experiencing the present, we can fall into a trap of reliving the past through the current moment. The ideal resolution would be to truly experience the moment itself with filters and interpretations removed. This is true momentary awareness and an enlightened view of the world. And I am in favor of it. But I can’t always do it. An alternative, which I try to practice given my base awareness that I can’t always practice presence, is to process the moment through positive filters. As the saying goes, “You are seeing the world through rose colored glasses.” This old saying is often stated as a slam. It is intended to wake the person up that is living in a delusional world where they look at things too optimistically. Oddly, it’s frequently stated by people living in their own delusions, as we all tend to do. I consider it a mindfulness practice. Applying this layer of thought to my input, helps me break lose from more negative patterns of thought. Encouraging myself to operate out of a foundation of abundance, where I have plenty and can share with all. There is one crucial piece of information to keep in mind when you’re working on this aspect of mindfulness. Often we are our own worst critics. Allow yourself to be filled with your own grace. This effort is both trivial and monumental. It can take moments and it can take a lifetime. Don’t be hard on yourself when working on yourself. This awareness came to me recently when I realized how compassionate I was being to someone else about a problem. They had made a mistake and couldn’t let go of it. I was helping them through the problem and even encouraging them to release it. “These things happen, there is no need to beat yourself up over it.” I stated kindly to my friend in turmoil. Later on, I realized that I had been much more gracious and compassionate to that friend than I was with myself. When the same thing had happened to me, I had assumed it was my fault. I had become mired down in dealing with my guilt for the situation and not allowed myself to release it and be forgiven. Surely I should allow for my self the grace that I would freely give another. Likewise, these filters that we’ve been talking about are frequently applied when dealing with yourself. You judge yourself and your behavior based on this false expectation you setup. You establish a set of judgmental criteria against which you will surely fall short. Inappropriately divorcing yourself and your judgment of yourself from the actual experience. As I stated at the beginning of this writing, “90 percent of pain is self induced.” We may also focus on the corollary; 90 percent of pleasure is self induced. Take some time today to allow yourself to enjoy life. Stop to smell the roses. Fill your thoughts with grace and abundance. You are more than capable of handling the tasks that lay ahead.